Amazing and amazingly simple recipe. Store bought crumpets from Trader Joe’s were perfect for this, but you could probably use any sort of cajey base to enjoy this cream on. Based on a recipe from Epicurious. Bring half and half to simmer in heavy medium saucepan. Add chamomile flowers; remove from heat. Cover; let steep 30 minutes. Strain mixture through strainer into bowl; discard flowers. Return half and half to same saucepan; bring to simmer. 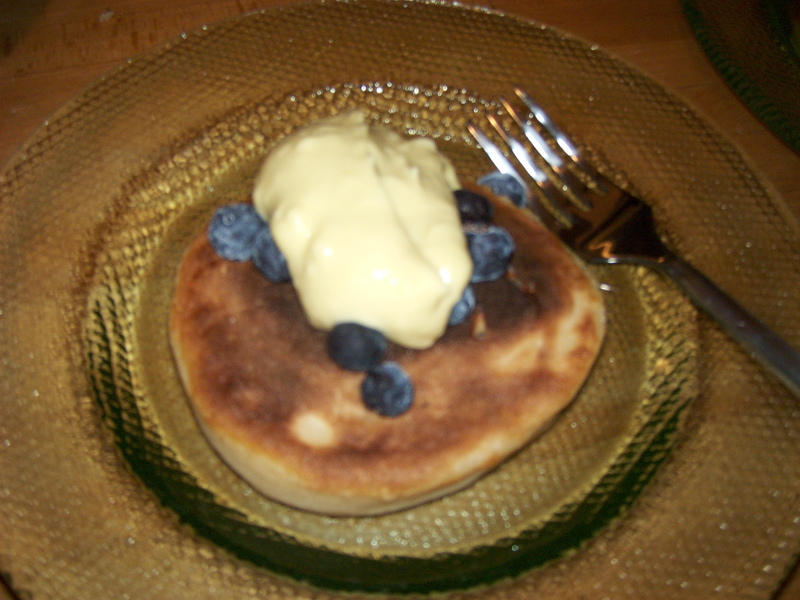 To serve, plate a crumpet, top with a small handful of blueberries and a dollop of the creme anglaise. I think ours turned out a little thick, but it was delicious!